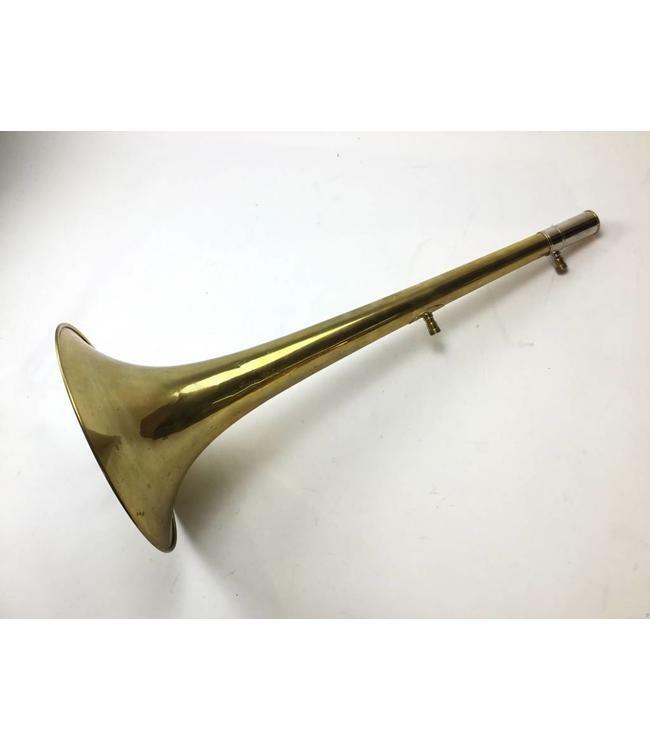 Used Edwards 1311CF unlacquered Yellow Brass Bass Trombone Bell. Bell has signs that some braces have been removed. There are a few small dings throughout the bell flare and signs of a few ding and dent removals. This bell also has some surface scratches throughout it body and some water marks that are normal wear and tear for a unlacquered bell.